Life has not been idyllic in Southern California as of late. Drought, wildfires, and most recently mudslides have upset the balance of a region renowned for its warm, sunny vibe. Climate change has played at least some role in these disturbances, and models predict its influence will only grow in coming decades. Los Angeles’ lawmakers concerns over this reality are also growing. On Friday, two city councilmembers called for legal action against fossil fuel companies for neglecting to address greenhouse gas emissions, and for costing the city billions of dollars in climate change-related costs, following New York City’s lead. Now, four city council members are requesting funds to set up a department for climate action. Dubbed a first-of-its-kind Climate Emergency Mobilization Department, the new entity would take a proactive approach to fighting climate-fueled natural disasters across the region. It would also prioritize reducing greenhouse gas emissions across the city, which have already fallen by 20 percent since 1990. Two more city council members seconded the motions, meaning they will move to a debate. Fourteen of the 15 members are Democrats. If they back the idea, its implementation will depend on persuading the state to release emergency funds. The climate emergency department would have the power to plan and coordinate all of the city’s climate and resilience responses including mitigation and adaptation efforts, and would incorporate elements of public education and stakeholder outreach. The council’s head honcho, mayor Eric Garcetti, is an outspoken proponent of climate action and is the co-founder of the Mayors National Climate Action Agenda, or Climate Mayors, a network of 88 U.S. cities committed to fighting climate change. Last July, Garcetti worked with the City Council to get the city to adopt the principles of the Paris Climate Agreement after President Trump announced intentions to withdraw from the global accord. 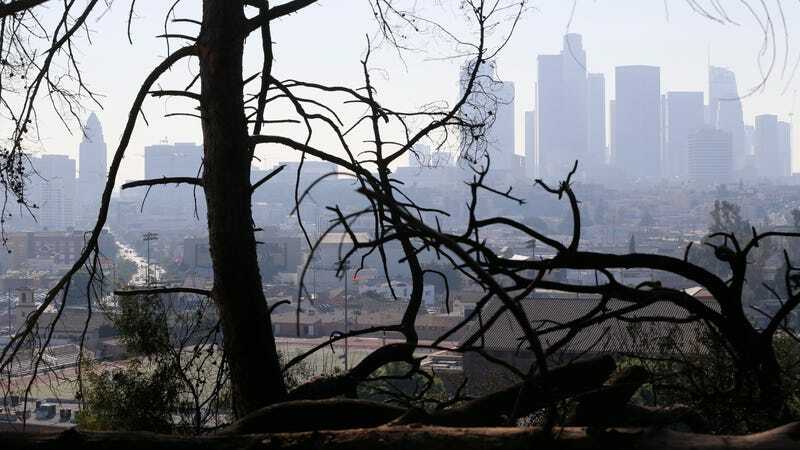 In 2015, Garcetti released L.A.’s first-ever Sustainable City pLAn, which includes short term and long term goals to clean up the city’s environment while driving the economy. It includes a number of innovate and ambitious programs, such as the city’s effort to dramatically reduce the urban heat island effect over the next couple decades by installing cool roofs, using more cool pavements, and increasing tree cover.